As I wrote yesterday’s post, I realized that I’d never actually made my own beef tallow from scratch. I’ve collected plenty of bacon grease in my day, and I’ve made schmaltz and used beef drippings from roasts as cooking fats, but never beef tallow. In fact, I almost never hear about it, even in Primal circles. It’s either lard, duck fat, or ghee getting all the attention. Hey, those are all great, delicious fats, and they deserve their prestige, but I like sticking up for the little guy. I like an underdog. In this case, of course, the little guy comes courtesy of a big cloven-hoofed ungulate. To render beef tallow, you need to get your hands on some raw beef fat. 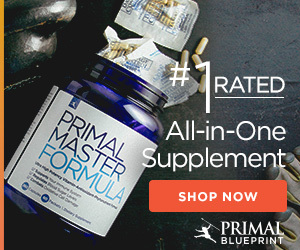 We love it that the Primal Blueprint is garnering more public attention. We love it that research supporting the PB is becoming more common, more visible, more talked about. And we love it that people are jumping in the game, reading studies, asking questions, configuring their own Primal practices (and in doing so remaking their health!). The inevitable by-product of all this exposure, however, is an occasional misunderstanding, the every-so-often confusion about the Primal approach and what it actually suggests. These misinterpretations often find their way into our inboxes (We truly do welcome all comments and questions! ), or we catch wind of them through the health blogosphere network. The remarks go something like this. Dear Mark: What is Creatine? Over the years, more than a couple readers have asked about creatine and whether or not it has a place in the Primal Blueprint. People may be tempted to lump it in with anabolic steroids or other chemical enhancers, but they would be conferring guilt by association. To clarify, creatine is a naturally occurring substance involved in ATP energy production. All vertebrates have it, and most of us get a good chunk of our creatine from eating said vertebrates. Red meat in particular – beef, lamb, and bison – contains the highest levels of dietary creatine (interestingly enough, human vegetarians – unlike their ungulate counterparts – generally have far less creatine in their muscles than meat eaters). The rest of the creatine we get is biosynthesized internally from three amino acids (some of which are also derived from diet): arginine, glycine, and methionine. First off, the forum has been growing at a rapid rate. There are over 300 topics now and more being added every day. So, I’ve added a search bar to the forum for better navigation through the thousands of comments and contributions. 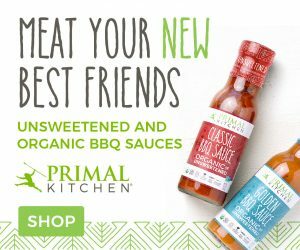 How Primal are you? Do you like your chicken covered in corn starch goo from a microwaveable meal, or do you prefer to catch a turkey with your bare hands? Pay Now Live Later has a funny, 8 question quiz to determine just how Primal you are. Skip the action flicks and buddy comedies, Food, Inc. was released this weekend. Recently from Marie Claire, reading may reduce stress up to 68%. So bring Dan Brown to the beach, curl up with Sue Grafton, or heck, browse through the archives of your favorite health blog. With summer basically here, I thought a nice gazpacho recipe was in order. Gazpacho is the chilled, tomato-based raw soup that originated in Andalusia, Spain, possibly after the Moorish incursion brought a simple peasant’s soup of olive oil, water, garlic, and stale bread to the region. Fortunately, those peasants soon grew tired of their meager gruel and began incorporating fresh vegetables from the fields to liven up the dish. Onions, cucumbers, and various herbs were standard fare until Columbus brought back tomatoes and peppers from the New World. Today, gazpacho is best known as a cold tomato soup, but good gazpacho is much, much more than throwing a can of Campbell’s in the fridge. Truly excellent gazpacho must be fresh and feature a wide range of interplaying flavors. Consistency ranges from truly smooth and soupy to thick and chunky (almost like a salsa), but fresh vegetables and quality ingredients are always key.